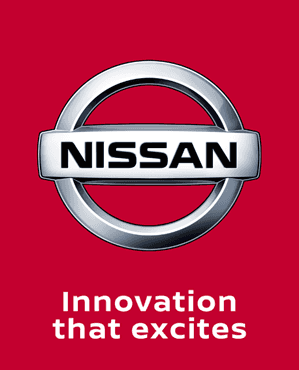 The Nissan Qashqai is an award winning SUV that has redefined the SUV market; it's sleek, stylish, and economical. The Qashqai has great handling on tough terrain as well as on city roads, and it can comfortable carry up to five passengers and their luggage. At Charles Hurst Nissan we stock a wide range of used Nissan Qashqai's in a range of models and specifications. Take a look at the used cars we currently have in stock, if you would like any more information or to arrange a test drive contact us today. We&comma; at Charles Hurst Nissan Newtownards&comma; are pleased to introduce this stunning 2016 Nissan Qashqai 1&period;2 DIG-T Acenta&comma; with the Smart Vision Pack&comma; finished in Storm White Pearlescent Paint&period; This car comes backed by our 12 month Nissan Intelligent Choice warranty&period; This is incredible value for money&comma; priced at only £10&comma;290! This incredible car features front and rear parking sensors&comma; making parking a breeze&period; The radio unit features FM and AM radio&comma; with CD player and Bluetooth connectivity allowing you to use Spotify and Apple music for all your favourite music&period; So what are you waiting for? Call us today on 02891 810555 and book your viewing and test drive now! We&comma; at Charles Hurst Nissan Newtownards&comma; are pleased to introduce this stunning 2016 Nissan Qashqai 1&period;2 DIG-T Acenta Automatic&comma; with the Smart Vision Pack&comma; finished in Gun Metal Grey Metallic Paint&period; With only 33&comma;700 miles&comma; this car comes backed by our 12 month Nissan Intelligent Choice warranty&period; This is incredible value for money&comma; priced at only £12&comma;495! This incredible car features front and rear parking sensors&comma; making parking a breeze&period; The radio unit features FM and AM radio&comma; with CD player and Bluetooth connectivity allowing you to use Spotify and Apple music for all your favourite music&period; So what are you waiting for? Call us today on 02891 810555 and book your viewing and test drive now! We&comma; at Charles Hurst Nissan Newtownards&comma; are pleased to introduce this stunning 2017 Nissan Qashqai 1&period;5DCI Acenta&comma; finished in Blade Silver Metallic Paint&period; With only 14&comma;997 miles&comma; this car comes backed the remaining 17 months Nissan manufacturer warranty&period; This is incredible value for money&comma; priced at only £14695! This incredible car features 17 inch satin silver alloy wheels&comma; increasing the comfort of the drive&period; The radio unit features DAB&comma; FM and AM radio&comma; with CD player and Bluetooth connectivity allowing you to use Spotify and Apple music for all your favourite music&period; It also has front and rear parking sensors&comma; along with a full colour reversing camera to make parking a breeze&period; So what are you waiting for? Call us today on 02891 810555 and book your viewing and test drive now!